Modern life would not be possible without electricians. If you like to know how electric currents make things work, then this is the trade for you. Qualified electricians are always in demand. With your tools and knowledge, you can go practically anywhere in the country. 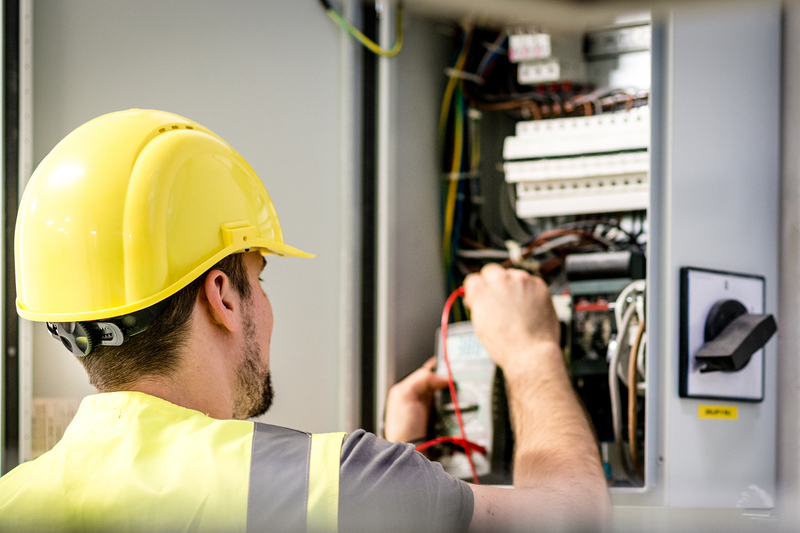 Electricians install, maintain, and repair electrical power, communications, lighting, and control systems in homes, businesses, and factories. Almost every building has an electrical power, communications, lighting, and control system that is installed during construction and maintained after that. These systems power the lights, appliances, and equipment that make people’s lives and jobs easier and more comfortable. Installing electrical systems in newly constructed buildings is often less complicated than maintaining equipment in existing buildings because electrical wiring is more easily accessible during construction. Maintaining equipment and systems involves identifying problems and repairing broken equipment that is sometimes difficult to reach. Maintenance work may include fixing or replacing parts, light fixtures, control systems, motors, and other types of electrical equipment. Residential electricians work with people on a regular basis. They should be friendly and be able to address customers’ questions. Self-employed electricians must be able to bid on new jobs, track inventory, and plan payroll and work assignments. Electricians often need to move around all day while running wire and connecting fixtures to the wire. Electricians must identify electrical wires by color. Electricians need to be strong enough to move heavy components, which may weigh up to 50 pounds. Electricians perform tests and use the results to diagnose problems. For example, when an outlet is not working, they may use a multimeter to check the voltage, amperage, or resistance to determine the best course of action. Electricians find, diagnose, and repair problems. For example, if a motor stops working, they perform tests to determine the cause of its failure and then, depending on the results, fix or replace the motor.